Overnignt in a hotel in Riga. 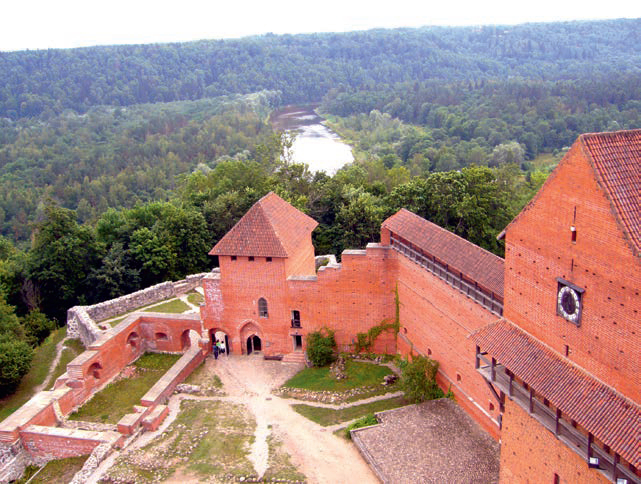 The Gauja National Park with medieval castles and great views to the Gaujariver valley below.Sigulda medieval castle ruins and baronial estate. The Vienkoči Park features one-log boats and other wooden objects carved in log according to ancient methods dating back to the 9th century. Interactive programs offer visitors to try own hand in woodcraft. The Turaida museum reserve with the ruins of a medieval Livonian Order castle. An observation tower reveals a beautiful panorama over the ancient Gauja river valley. Farm Gundegas. The farm cultivates cranberries that were originated in Latvia. Farm excursion, products for sale. TheBīriņi manor complex and the park (18th-19th century). Overnight in Bīriņi manor hotel. 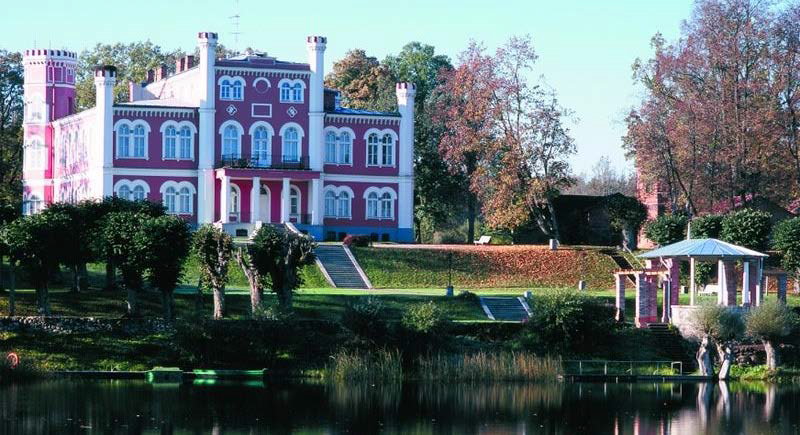 The Igate Manor (19thcentury) is built in the style of Neo-renaissance, surrounded by a romantic park and an old water mill with traditional Latvian taverna. 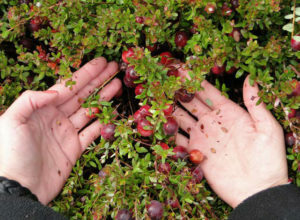 An outdoor exhibition of medicinal herbs at farm Avotiņi in Limbaži region introduces a visitor to a “green pharmacy” – more than 300 different plants. 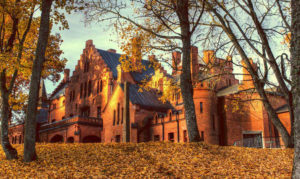 The Ungurmuiža manor in Pārgauja region is the oldest wooden Baroque manor in Latvia with some survived wall paintings. Sightseeing in Cēsis – the Old Town and Castle Complex with impressive medieval Livonian Order’s castle ruins and the so called new castle (18thcentury) where a museum is located. 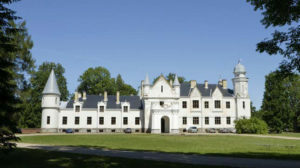 Overnight in Dikļi manor hotel.The Dikļi Manor (19thcentury) is built in the style of Neo-baroque. It hosts a collection of valuable antique furniture, fireplaces and interior articles. The Valmiermuiža brewery saloon popularises Latvian beers and uses beer in various dishes. Adzelviesi hemp farm in Burtnieki region is cultivating hemp from which it produces hemp butter, roughly ground seeds, hemp oil. 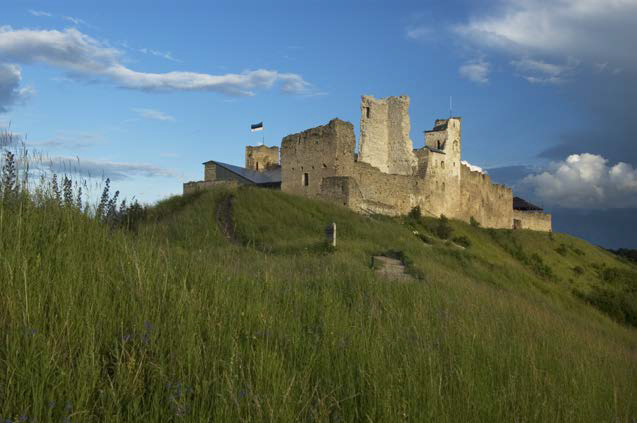 Sangaste castle is one of the best Historicism examples in the Baltics. 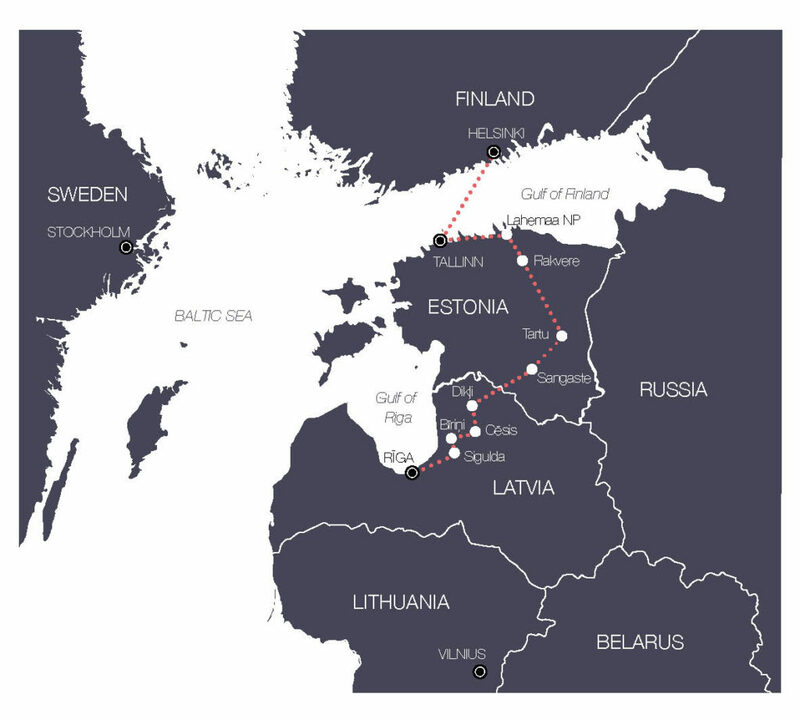 Short city tour of Tartu – a university town and a city of youth. Alatskivi castle (18th – 19thcentury) with a beautiful park. Avinurme Wooden Handicrafts Centre – local woodcraft, woodworking workshops, Estonian traditional foods. 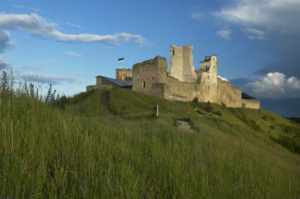 Castle ruins in Rakvere with a theme park where visitors can experience everyday life of the 16th century. Overnight in Vihula manor hotel. 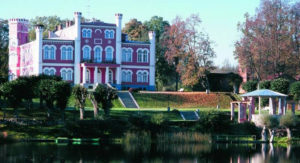 Vihula manor (19thcentury) is in Lahemaa National Park. It is surrounded by a nice park, the estate has an interesting pond system. The route leads along the northern Baltic Sea coast of Estonia through the oldest Baltic national park – Lahemaa. Huge boulders at the seaside and small fishermen’s’ villages are typical landscape there. 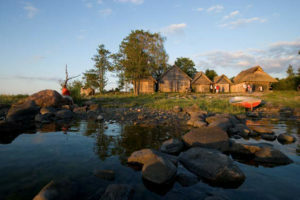 Altja traditional fishing village and tavern where visitors can taste Estonian food. 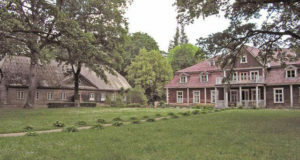 Sagadi manor (18thcentury) hosts a forest and manor museum and the nature school. Palmse manor (18thcentury)is one of the most beautiful and grandest Baroque buildings in Estonia. Helsinki city tour and free time in the city.The Helsinki Cathedral and the Senat Square, the Parliament, the Old Market Hall and Market Square, the Esplanade park, the Kamppi Chapel of Silence, the Temppeliaukio church, the Design District Helsinki, the Suomenlinna Sea fortress.